Two side pockets with inside coin division on right. 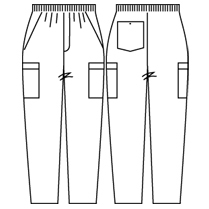 One back pocket with button closure and two mid-thigh, double patch pockets. 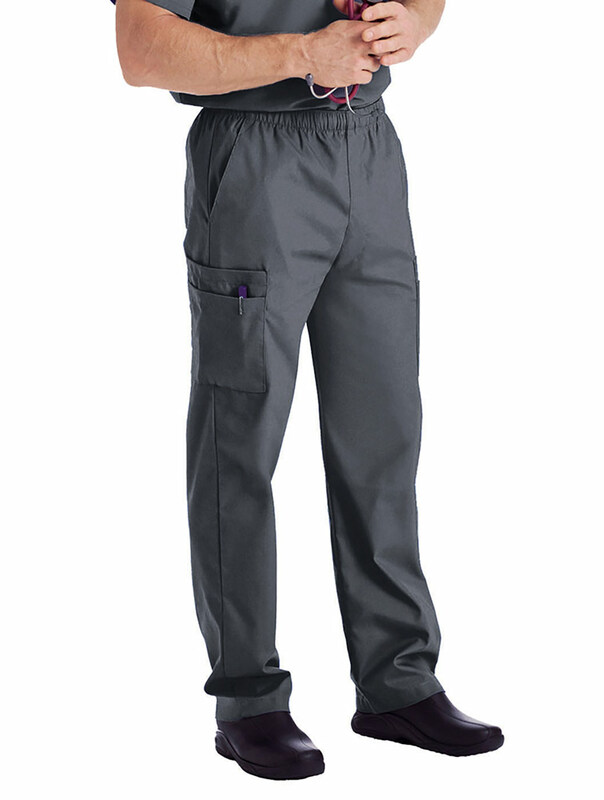 Non-roll 1½" elastic waistband with inside braided drawstring and zipper front.